As the weather gets colder in Chicago, the thought of a pool party is inviting. Why? Because a pool party implies sun and warm weather. Although taking a dip in the water and lounging by the side of a pool sounds relaxing, there are things that could turn such a positive experience into a disaster. Off the top of my head, alligators and tigers come to mind. For $175, Tampa-area residents can now include baby alligators in their party plans. A local mother surprised her son for his eighth birthday by having an alligator in the pool. For some reason, she didn’t tell his friends or their parents ahead of time. In hindsight, that was probably smart. Had she warned the other parents, her son might have spent his birthday alone. If reptiles aren’t your thing, you can always go swimming with a tiger. Dade City Wild Things animal sanctuary offers just such an experience. For $200 per person, you can spend 30 minutes in the pool with a cub. According to Randy Stearns, sanctuary president, tigers are the best swimmers of all big cats. He adds the swimming sessions are relatively safe. Knowing how much cats love water, it must be exhilarating to be in a pool with a carnivorous beast. I’m holding out until I can afford both. I won’t invite kids because that would be crazy. I want to have a party with an alligator at the tiger pool. I bet they’ll go really fast and it will be really cool. And relatively safe. P.S. 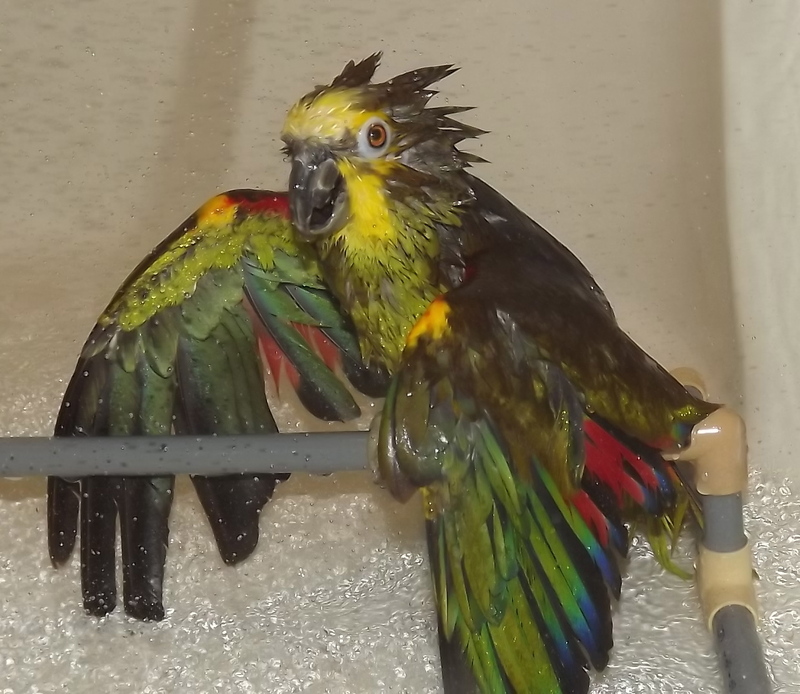 For $200 I’ll let you shower with my parrot.